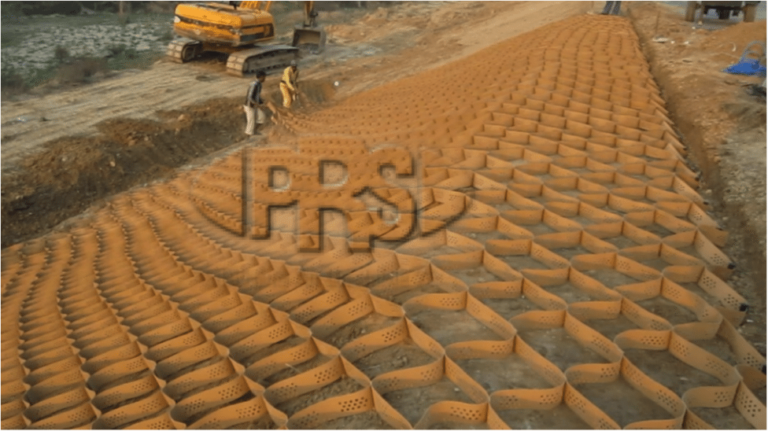 Retaining Walls Solutions - PRS Geo Technologies Ltd.
Neoloy® Geocells provide a better solution for retaining walls, comparing to other solutions, reduce construction and maintenance costs, while providing better seismic resistance. Testing verified that PRS-Neoloy Geocells provide sustainable highway reinforcement, increasing design life and modulus, while reducing road thickness. Authorities in Bogota rehabilitated run-down road infrastructure. Neoloy Geocells was the perfect reinforcement for recycled asphalt pavement. Mexico City's international airport was built on expansive clay with almost 200% water content.Airport pavement reinforcement reduced settlement. Israel Railways adopted the PRS-Neoloy technology as its preferred method for rail track rehabilitation over problematic subgrade. Using local soils for infill, Neoloy Geocells were used to construct reliable access road for pipeline construction on sand. A new compression station for the Gujarat State Petroleum Corporation (GSPC) included reservoir geomembrane protection against differential settlement. Neoloy Geocell provided a combined engineering and gardening solution that met strict requirements for stabilization while maintaining aesthetics. The National Highways Authority of India (NHAI) used Neoloy Geocells for highway embankment stabilization on the Delhi-Bahadurgarh road system. With very steep slope protection required, Neoloy Geocells provided highway slope erosion control on a major Romanian motorway. Providing an environmentally sound solution, Neoloy Geocells utilized construction waste and inferior infill for green slope stabilization. Neoloy® Geocells provide foresters with a novel solution to revolutionize the way forestry roads are built and timber harvested.